Now more than ten years ago, a group of friends started a beer tasting club. Every two weeks they came together at one of their homes to drink a good Belgian beer and to discuss beer, women and football. During the years the interest in beer grew. This resulted in following brewing courses in 2007. 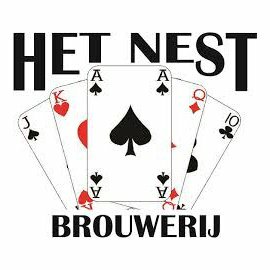 From that year on, they started “Hobbybrouwerij Het Nest (Home Brewery the Cradle)”. Their first success was a third place at the Open Dutch Championship for home brewers in the “triple” class.